Many Carmelite monasteries throughout the world have been named after St. Thérèse of Lisieux, a very humble yet very great Saint, including Loretto Carmel. Our monastery is the only one in the United States founded directly from France. 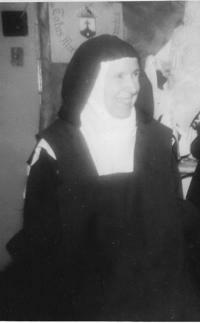 It was in 1926 that our two Mother Foundresses, Mother Marie Joseph of the Divine Heart and Sister Marie Genevieve of the Holy Face, came to the U.S. at the invitation of Bishop John Joseph McCort. Prior to their departure from Bordeaux on September 29, 1926, Mother Foundress and Sister Marie Genevieve spent some time in Lisieux, and met with all three of the Martin sisters living at the Carmel. 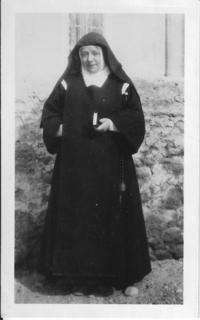 Mother Agnes of Jesus (St. Therese’s oldest sister, Pauline) was so enchanted by Mother Foundress that she gave her a first-class relic of St. Thérèse to take with her to America. 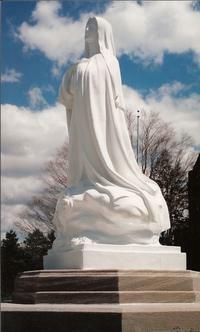 In return, Mother Foundress promised to name the new Carmel in honor of St. Thérèse. Our Foundresses also stopped at Alençon Carmel and purchased there the wax figurine of the Infant Jesus which we currently use in our Nativity scene at Christmas. 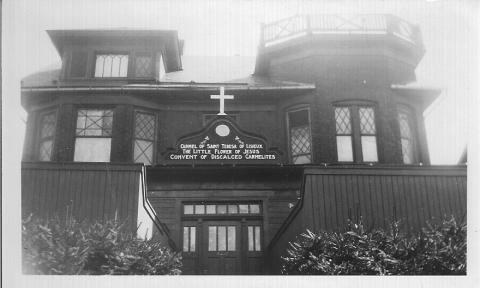 After arriving in America, they settled into a provisional monastery in the nearby city of Altoona, Pennsylvania, and on February 26, 1927, the foundation became a reality.